If you boat in big water but don’t need a cruiser with tons of storage, sleeping quarters or multiple heads, a large bowrider makes sense. 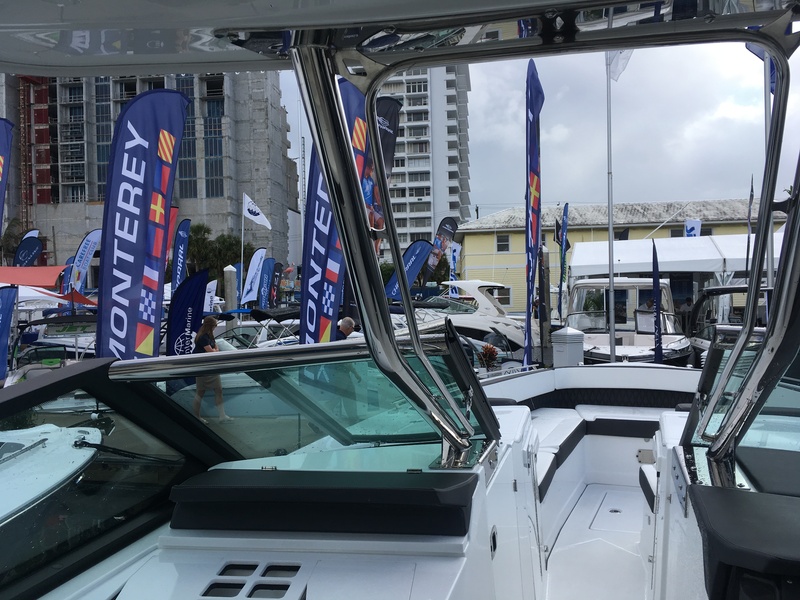 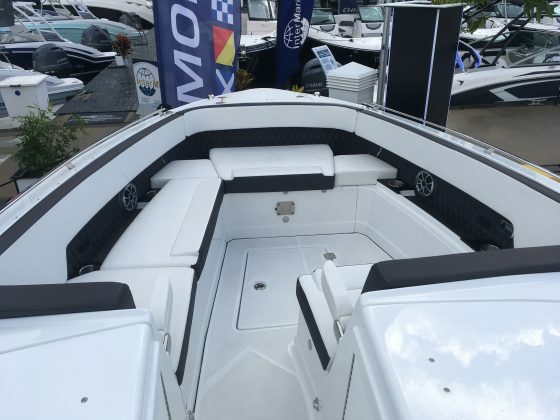 But if you still want to stay on board occasionally, or if the kids want to “camp out” at the dock, a hybrid between a big day boat and a cruiser like the Monterey 385 SE is what you are looking for. The 385 SE has a huge bow lounge with a removable table so it can be used just as seating, or as a dining space. 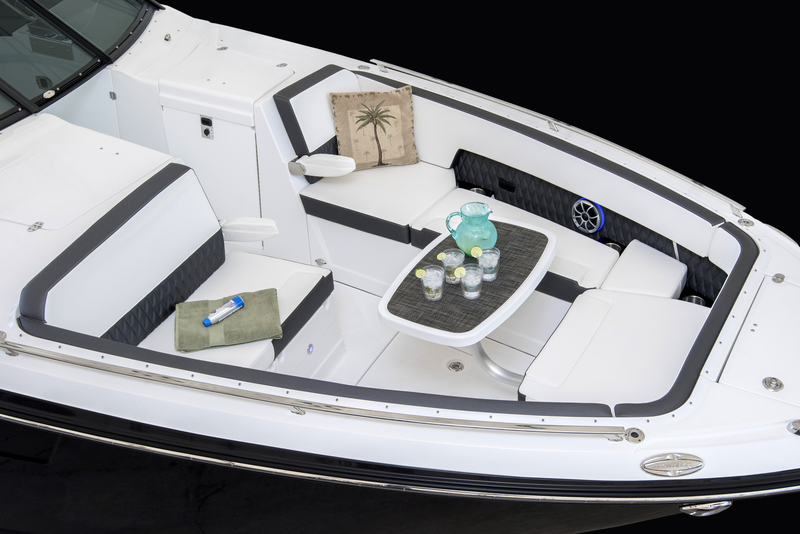 The aft bench has a flip-flopping backrest that can convert it to a forward-facing seat, a rear-facing seat or a lounger. 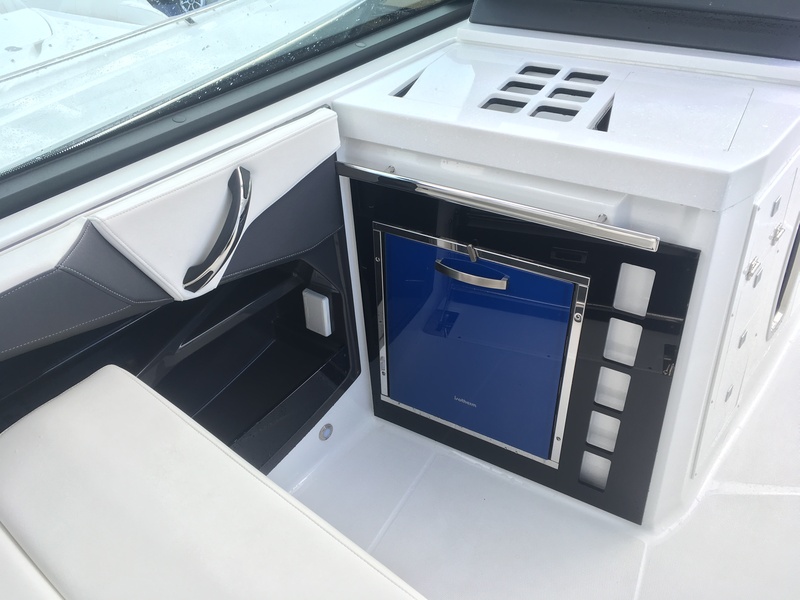 There is a small, removable grill instead of a permanent cooking area that stores away in a dedicated storage drawer behind the helm. 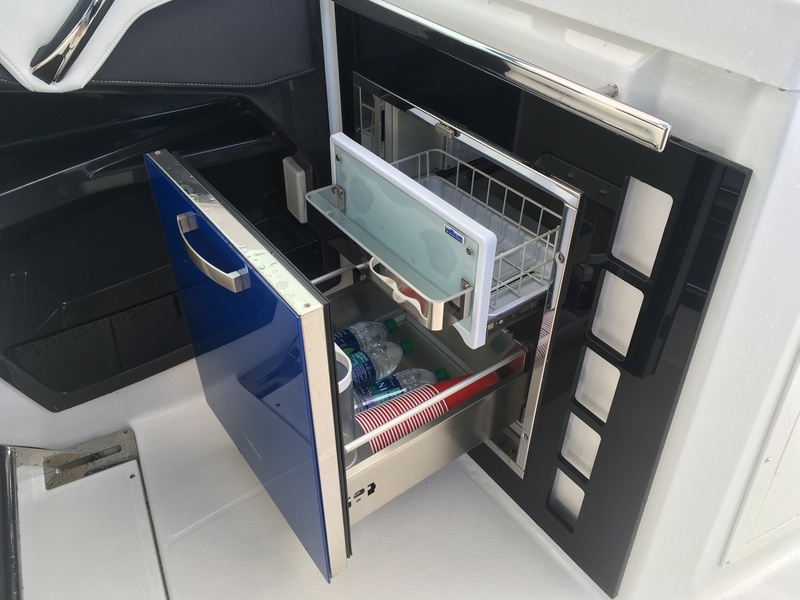 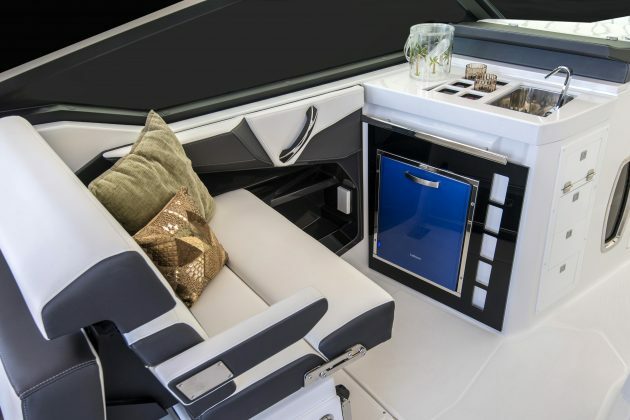 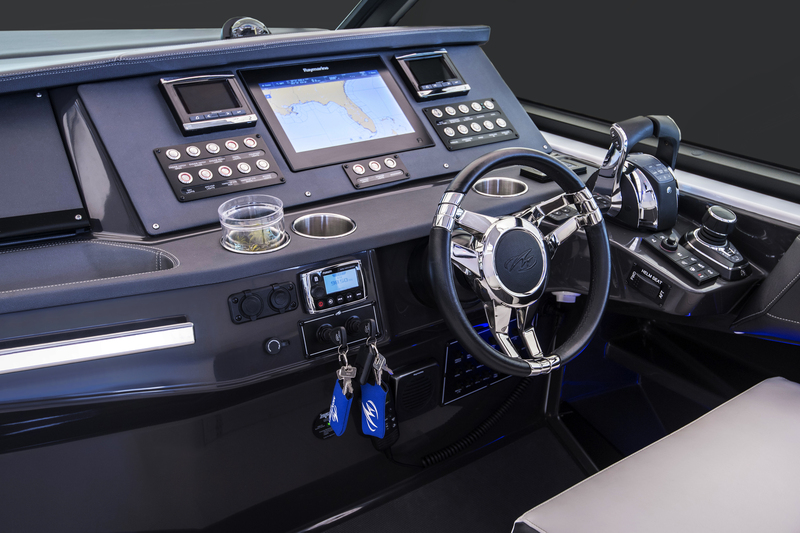 The port side console, directly opposite the helm, features a slide-out fridge/freezer unit while the helm itself features just about every gadget and switch you could want. Underneath the helm is the small, but very functional salon. 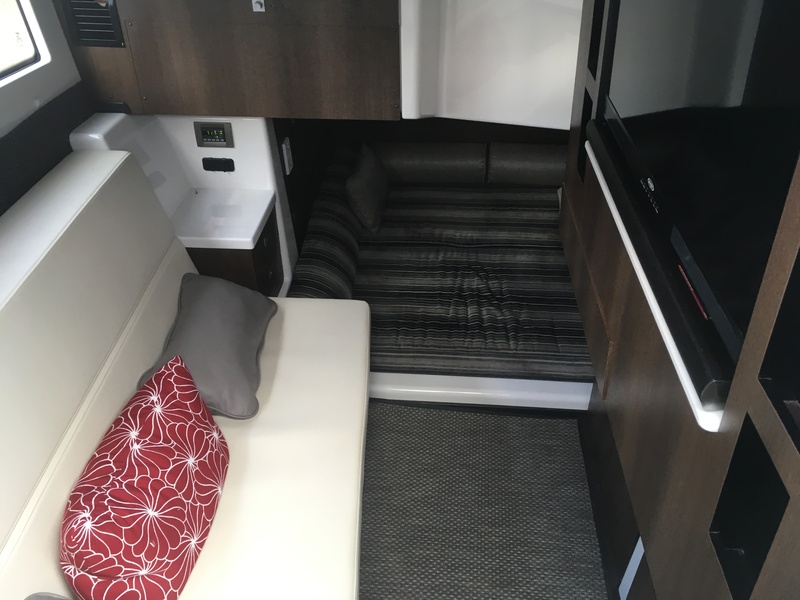 There’s a bench directly opposite a large TV, stereo controls, microwave and fridge and a full-size bed. 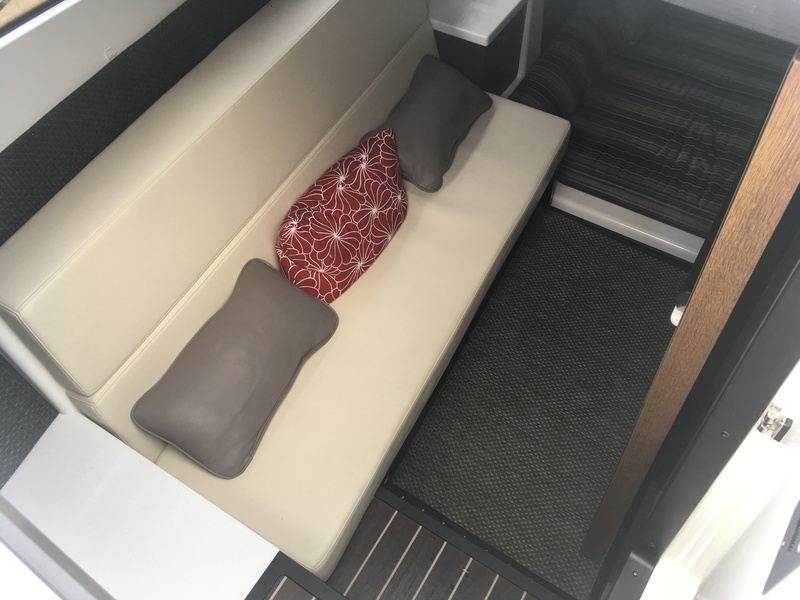 It’s not a fold out futon-style bench, so you have the full measure of comfort if you stay on board. 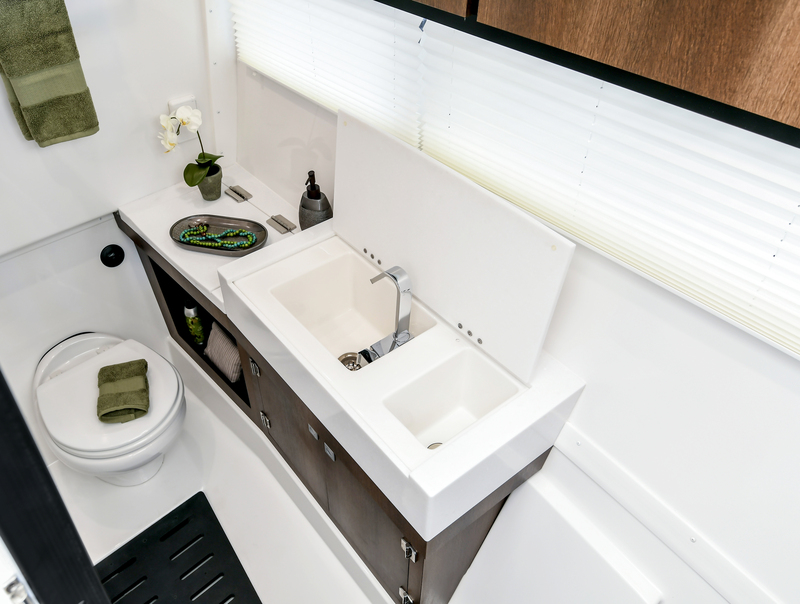 Directly opposite, under the port-side console, is the separate head with fold down countertops to cover the sink. 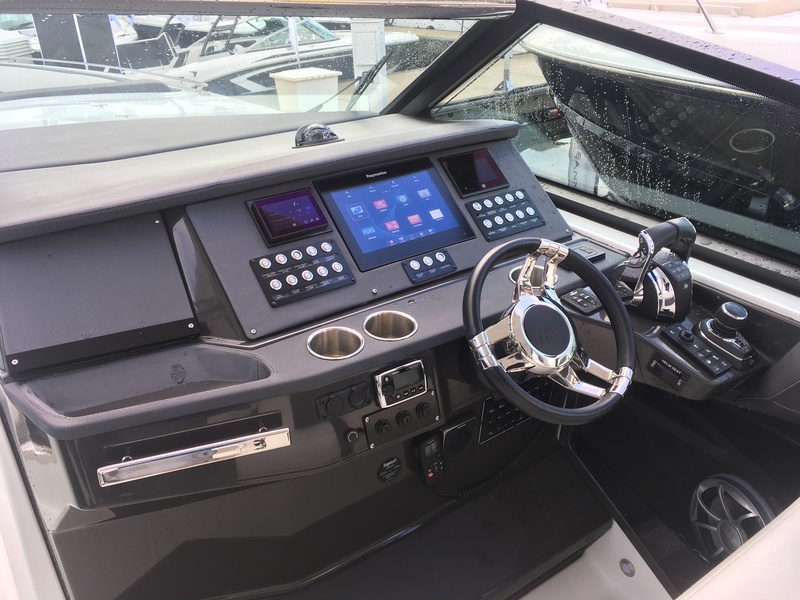 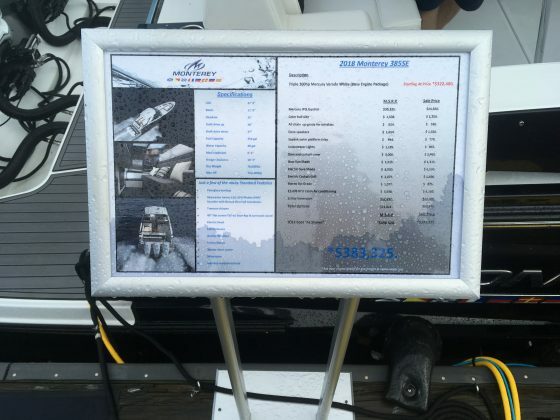 This boat comes with many standard features, like the fibreglass hardtop, the 12-inch Raymarine Axiom, transom shower, and the 40-inch flat screen TV with Blu-Ray player. 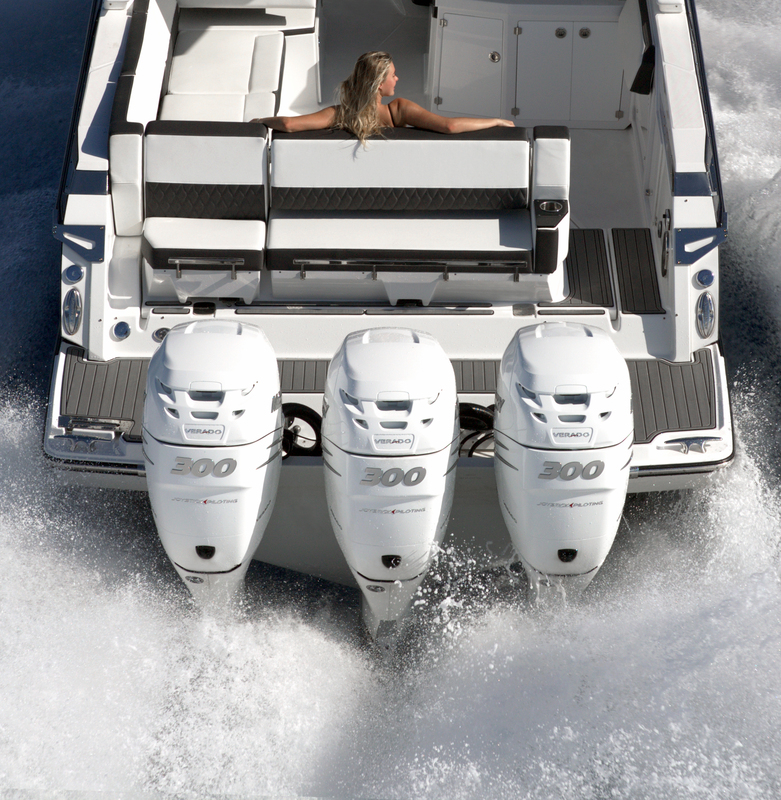 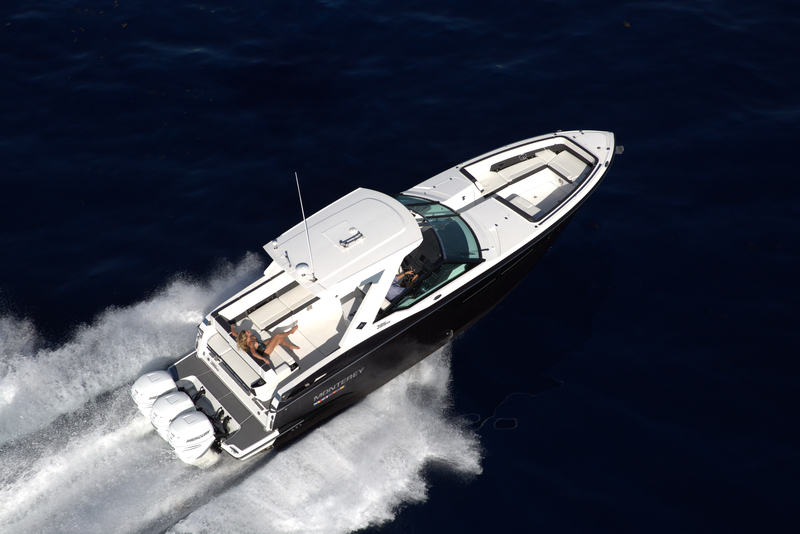 The base power package includes triple Mercury Verados and it is rated or up to three 400 hp outboard engines. 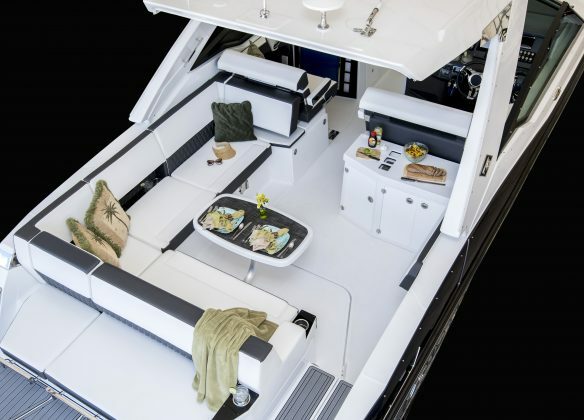 The Monterey 385 SE has an absolute ton of space for guests and, even still, has a cabin that truly is a feasible overnight berth. This is my kind of hybrid!